← Big Changes in 2012! Welcome to EvalBlog. This where I—and a growing number of guest bloggers—will share our experiences designing and evaluating social, educational, cultural, and environmental programs. I will draw on my experiences at Gargani + Company. Guest bloggers will draw on their experiences in various organizations and roles. Together, we hope to provide a broad view of program design and evaluation. 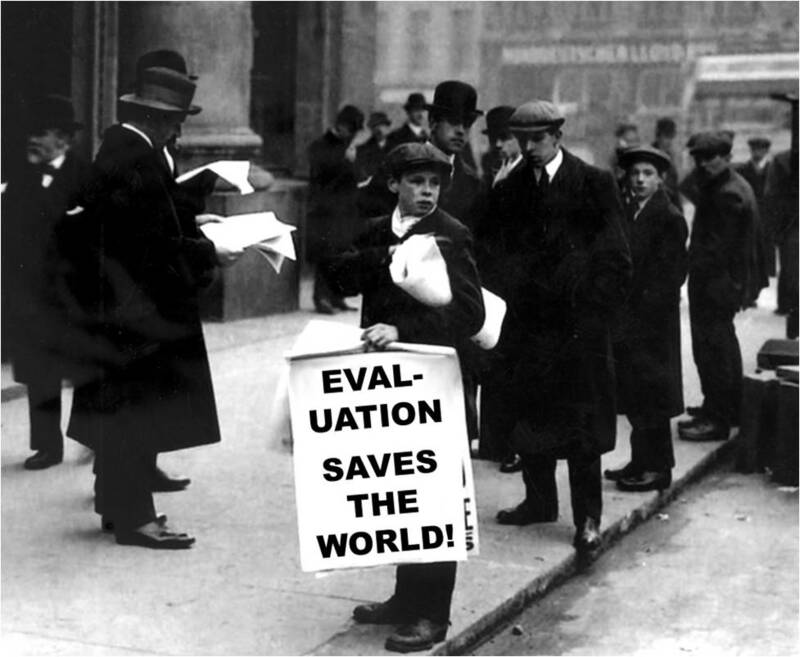 EvalBlog was started to promote a simple idea—evaluation has the power to change the world. That may sound idealistic, but idealism is hot. Corporations, nonprofit organizations, and government agencies are focusing on social impact as never before. Yet program design and evaluation remain mysterious subjects. We hope to lessen the mystery and reveal how organizations can use evaluation to achieve their social missions. This is an exciting time to be an evaluator. The evaluation community is growing and diversifying. New technologies, disciplines, and organizations are changing what is possible. And the boundaries separating the for-profit and nonprofit worlds are blurring. EvalBlog will be in the thick of it with conference blogs, interviews, and invited commentary. Fundamentally, however, program design and evaluation remain data-driven enterprises, and EvalBlog will explore how we gather, interpret, and present data. Of particular interest is how we communicate and persuade using visual media, and EvalBlog will present examples of data visualization, good and bad, from which we can learn.